Nokia recently uploaded four new epic videos of their first gen. Symbian^3 devices namely your N8, E7, C7 and C6-01 running all in Symbian Anna. So it means that Symbian Anna is really getting closer for our upgrades to it. Older users of these devices are known to be receiving the update by the end of August and new users who just recently bought these devices have already experiencing Symbian Anna on their phone the same with Nokia E6 and Nokia X7. But who gets first the update isn’t a big deal anymore as we’ve already left of few weeks to the Anna update. Finally, all fans and users will be getting and enjoying the Anna fever. Nokia N8 Running On Anna – Best Camera Phone In the WORLD! Nokia E7 Running on Anna – Perfect for Business! Nokia C7 Running On Anna – Elegant design and very social phone! Nokia C6-01 Running on Symbian Anna – Affordable smartphone for perfect way to share it! So which Nokia Symbian^3 are you? Well, no matter what symbian^3 are you, still all of us will be getting the ANNA fever sooner! n8 mate, whens the update coming???? 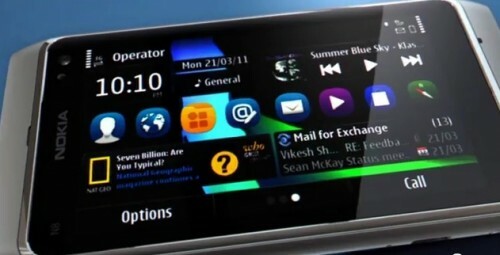 We might receive the update of Nokia N8 and other Symbian^3 devices by last weekend of August. So couple more weeks to go. I have been waiting for the Anna update since a long time. I had heard that it was going to be launched in July, 2011. But still, there are no news about it. Hope, it will become available at the end of the August. Although Symbian^3 is working great on my Nokia N8, Eager to know what’s new coming in the next update. Get ready for Symbian Anna invasion next week. No. Only Nokia C6-01 with Symbian^3.